Obsession or Passion, there’s a fine line which and can sometimes be hard to define; either way I am ‘passionate’ about mosaics and am embarking on another design. As you can see I have only drawn the net insofar. This aspect of the process of making a mosaic is perhaps the most important, without it you have to create the piece free hand which, if you’re going for a geometric pattern as I favour, is difficult. 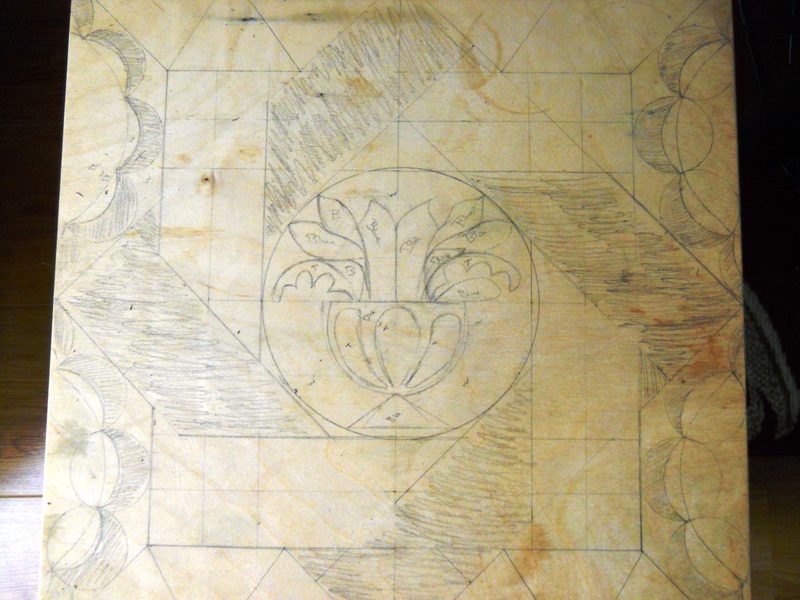 Especially as in geometric designs a sense of symmetry is important to the overall composition. For anyone who wants to make such a mosaic a ruler, set square and compass are necessities. This design is strives to be a little more ambitious, with an interlacing guilloche pattern, rather than a single row, and a larger array of patterns. 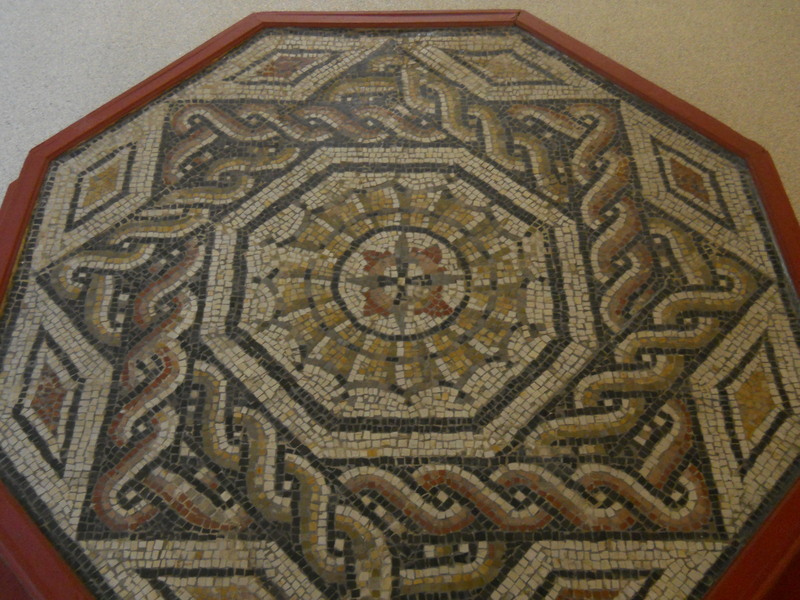 The sort of border style I’m going for is similar to this example of a mosaic from the Museum of Art & History in Cinquantinaire park, Brussels. 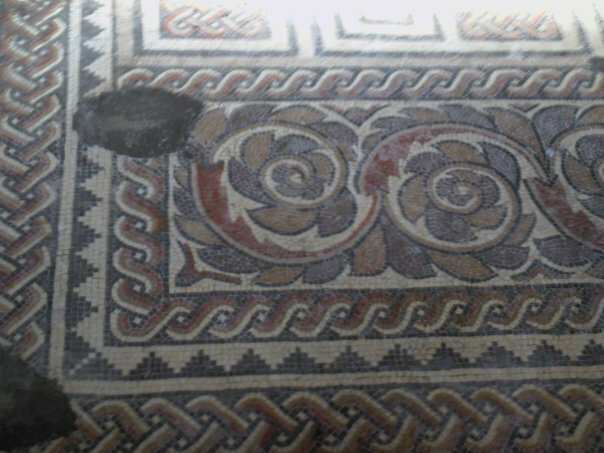 In my design the central section will be different featuring a central bowl with flowers flowing out from within, the best illustration I have of the sort of effect I am going for is this example from Chedworth Roman Villa, Gloucestershire, UK. So now the fun bit starts, hopefully I’ll be able to show the finished product soon.